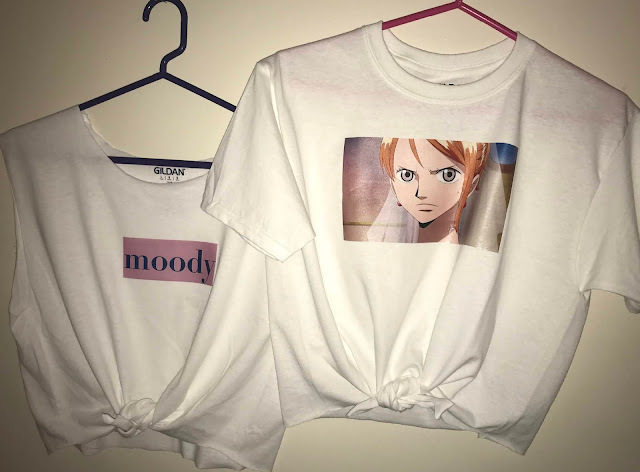 One Piece anime graphic crop tops for the summer? Inspired by Nami? Yes, please! 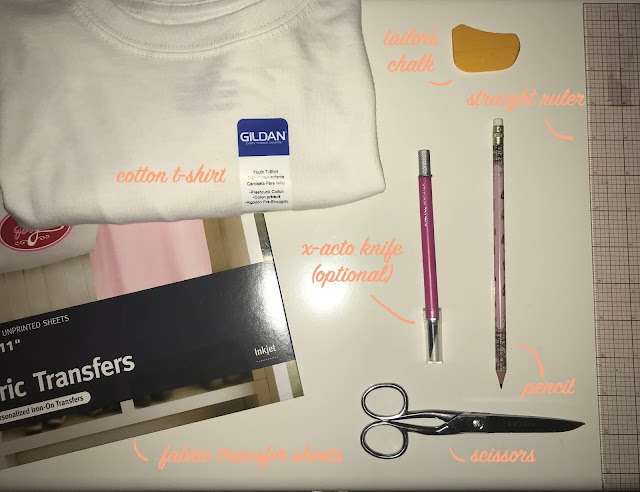 Also, use these simple clothing hacks to refashion regular tees into crop tops. *All of the designs that I made and pictures that I used will be linked in my Google Drive below. 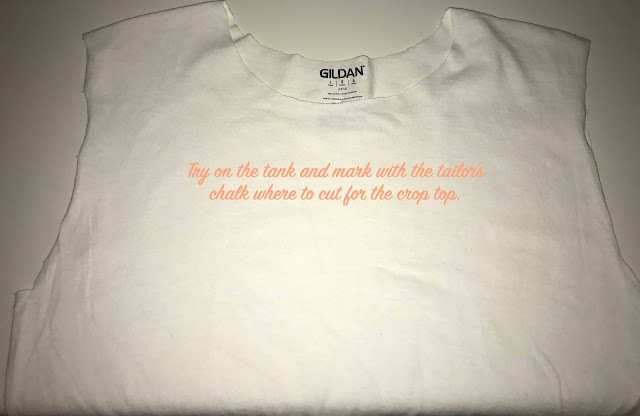 If you wish to create your own design, use the One Piece font, and would like instructions on how to create it, please refer to my previous post: here. 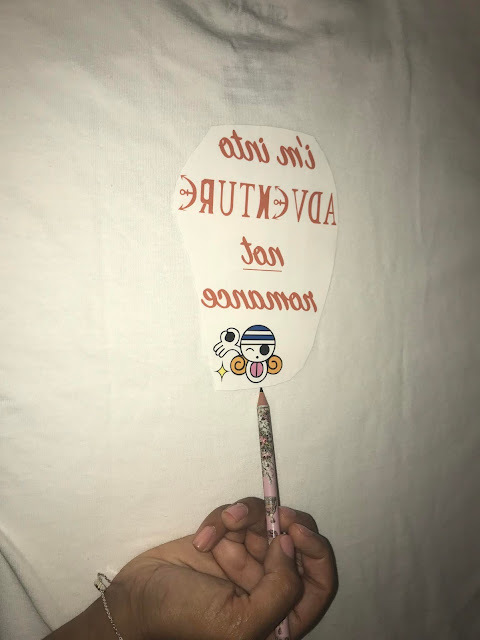 Here is my Google Drive link for my designs and pictures that I used. *Nami wore the 'moody' tank during the Strawhats' separation when she ended up on Weatheria. 1) Cut off the neck line of the t-shirt and both sleeves. 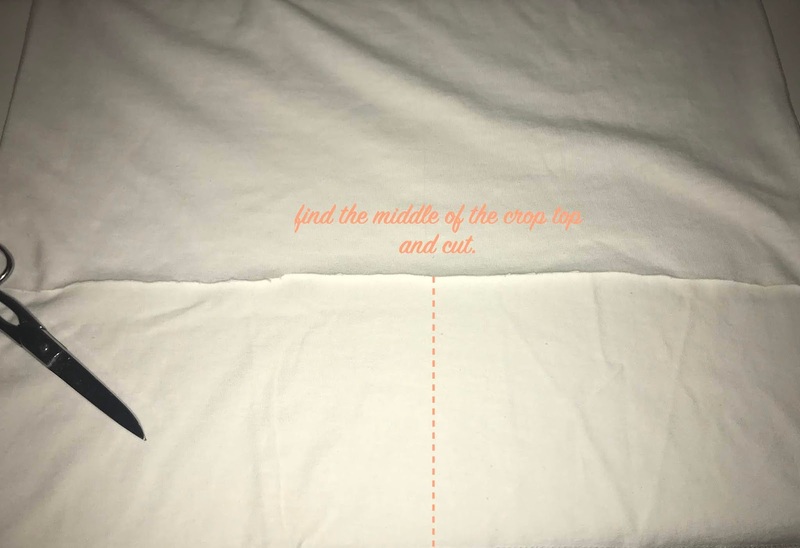 Cut close to the seams. 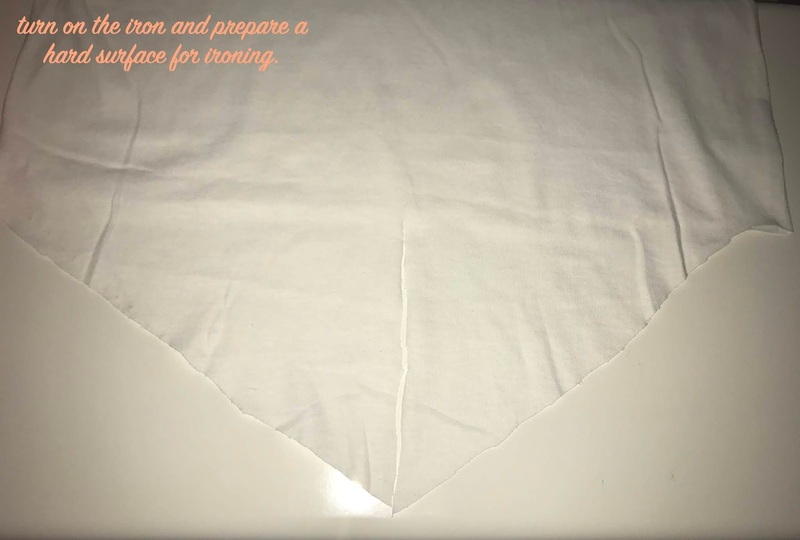 2) Try on the tank top to mark where you want to cut for your crop top. 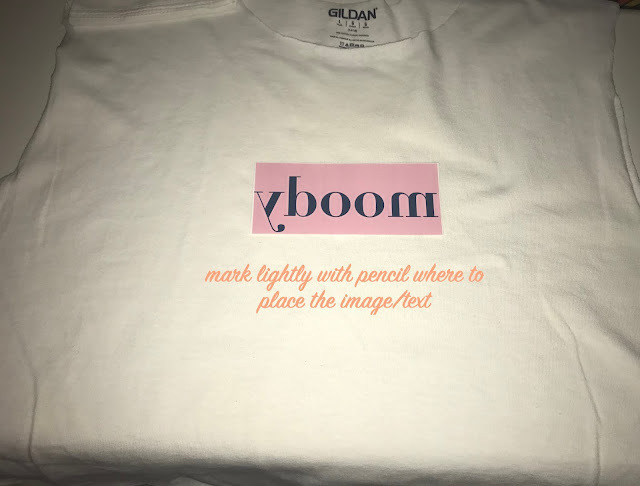 Use the chalk and make a mark on the back of the shirt. 3) Take off the tank top and lay the shirt down flat again. 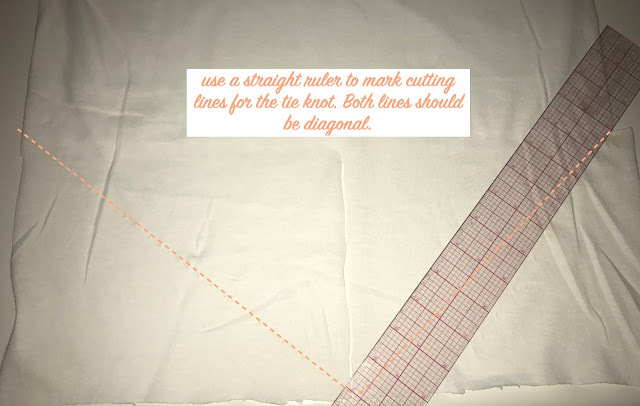 Take a ruler a make a straight line across from the mark you made. 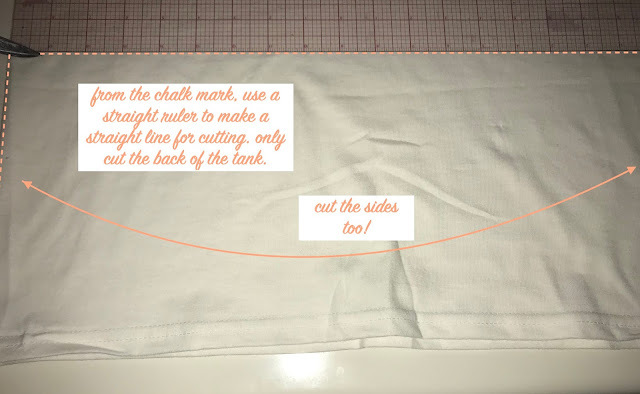 4) Cut along the line you made and also cut the sides of the shirt too. So, you will be cutting out one big rectangle. 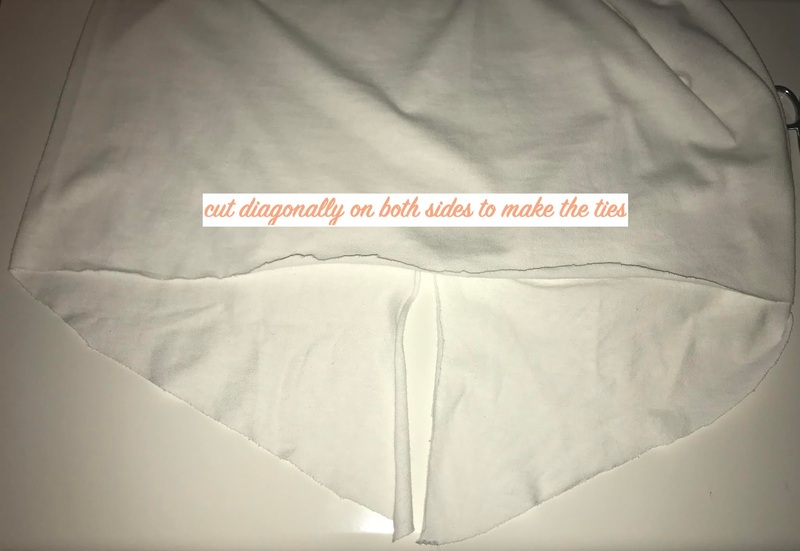 But only for the back of the shirt, do not cut the front. 5) Once the back is cut, flip the tank over to the front. 6) Find the middle of the tank and mark it at the bottom for cutting. 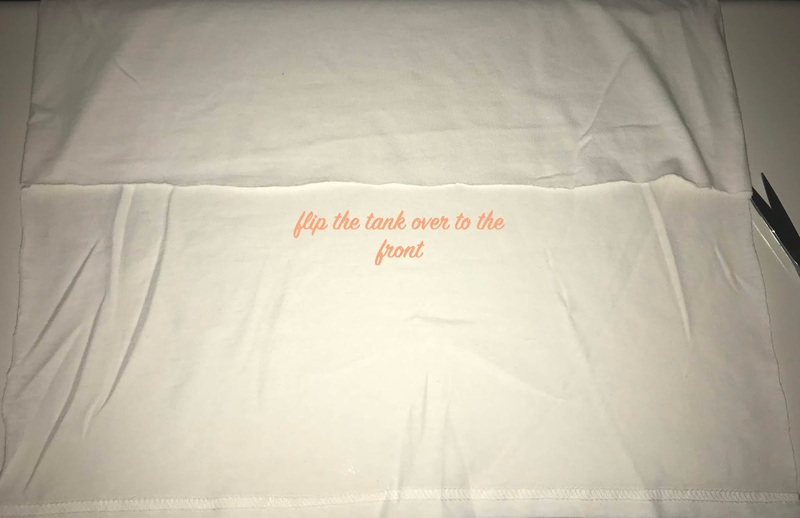 You can also fold the tank in half to find the middle. 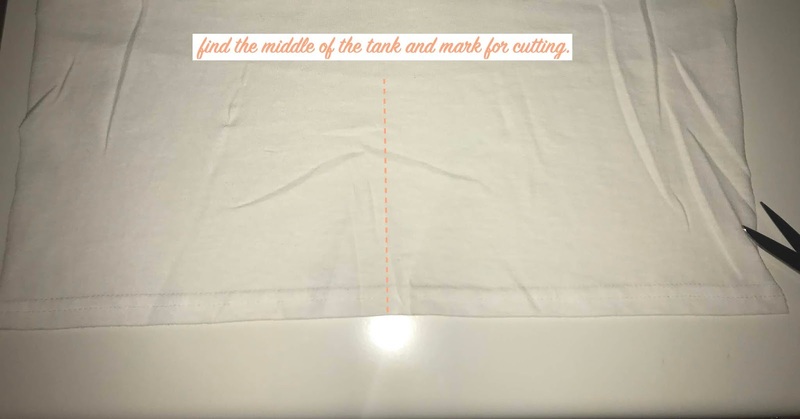 7) Cut a straight line in the front of the tank top up to where you cut on the back of the tank. It's okay if you go a little past that. 8) Use a straight ruler to mark from the bottom of the tank to where the the tank is cropped to make a diagonal line on both sides. Mark for cutting. 9) After cutting, you should have two diagonal pieces which will be the ties for the crop tank. Try it on to make adjustments. 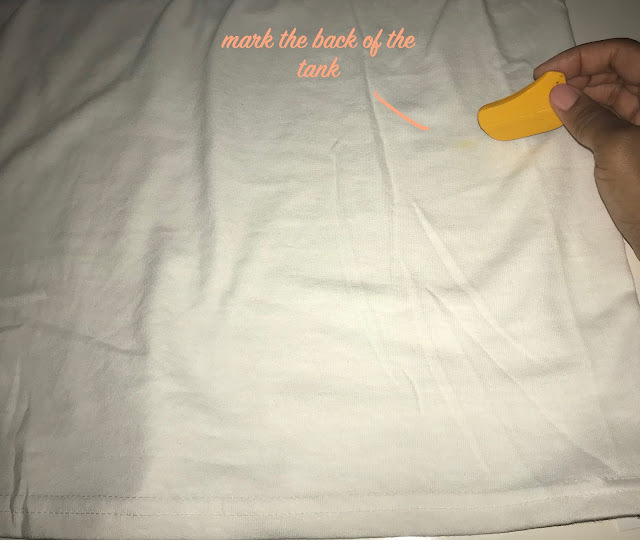 11) Use a pencil to trace the placement of where to place your image. 12) This should be on the transfer paper information card, but iron firmly in a horizontal then vertical movement. 13) Let it cool for 2 minutes and peel slowly when ready. 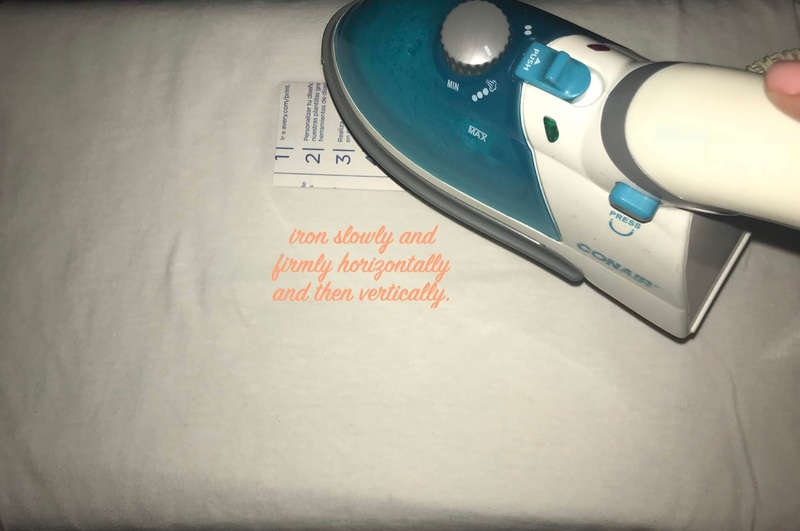 If the image is not sticking then keep ironing. 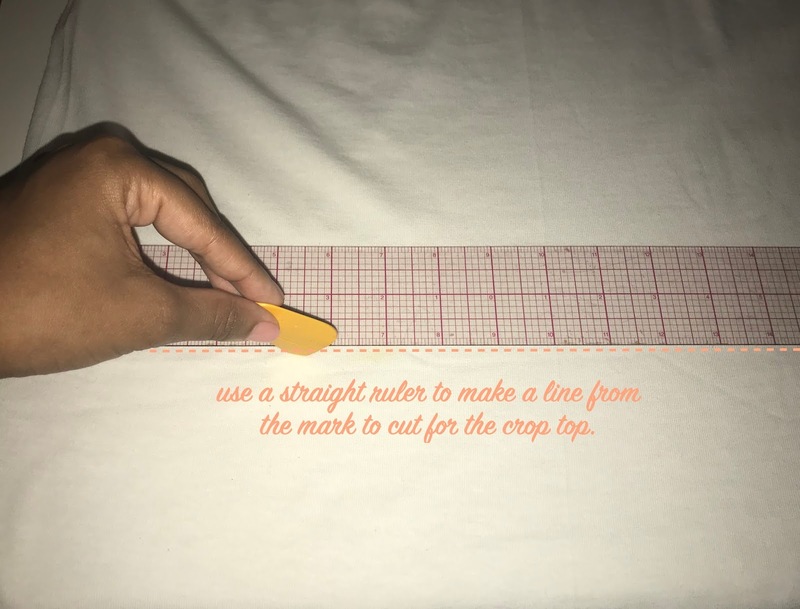 Follow steps 2 - 13 of the crop tank directions. 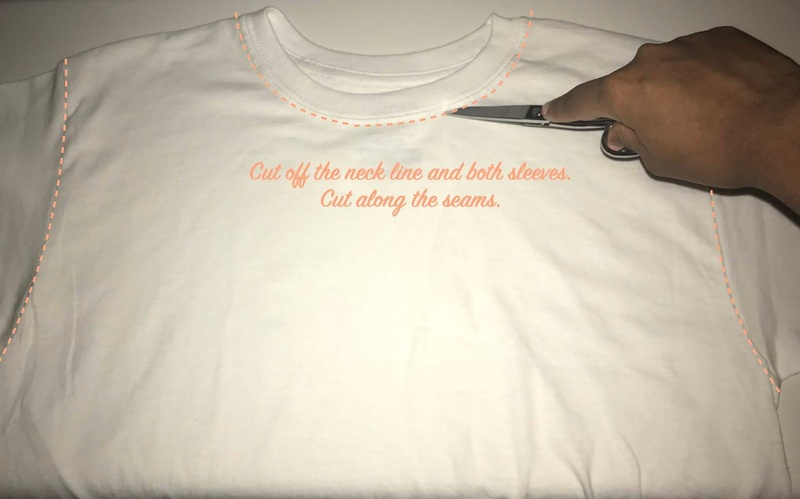 You can cut out the neckline if you prefer. 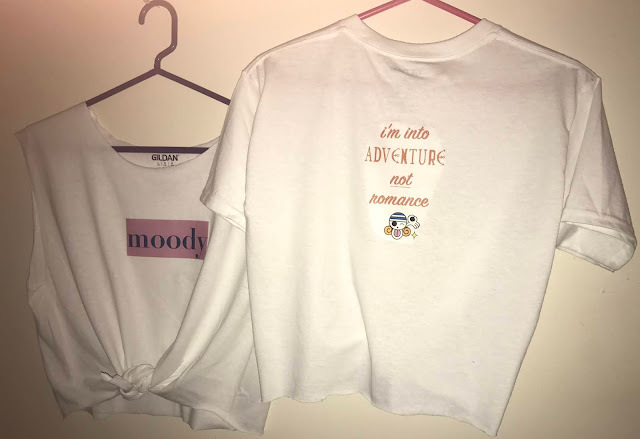 1) I placed a design on the back of my crop top. For this I made sure my picture in the front had cooled for at least 15 minutes. After, I used the edge of the table to iron on so the heat from the iron would not damage the picture on the front. 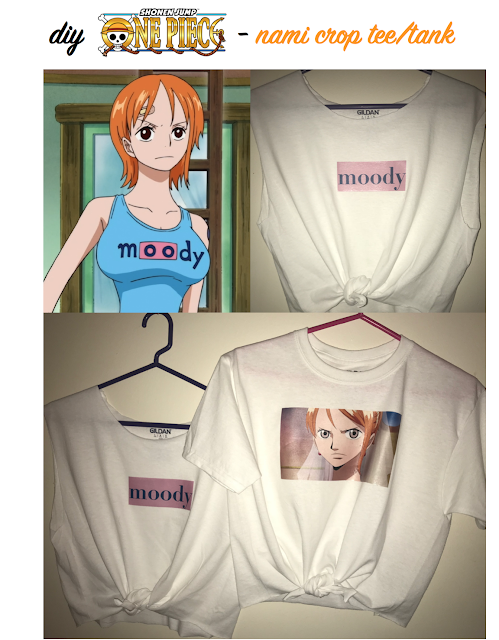 * my quotes for Nami are from things she has said in the anime dub of One Piece. 'im into adventure, not romance' was something that she said to Absalom in Thriller Bark arc.